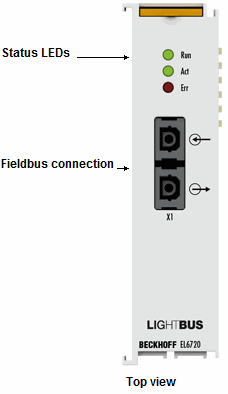 The EL6720 Lightbus master terminal enables the connection to Lightbus devices just as the Beckhoff FC2001 Lightbus PCI card. Due to the connection via EtherCAT, no PCI slots are required in the PC. Lightbus For further Lightbus products please see the system overview.